I Need a Montessori Book for Dummies! I have a lot of questions! How would I set up the Montessori environment; what materials are absolutely necessary; how would I space all the information out; how would I go about explaning free choice; how many lessons do I do in a month; I guess I need a Montessori Book for Dummies! 1. playschool6: "Here is a place for home schoolers, using Montessori Method in their home education, to share and learn. All home schooling topics/methods are welcome." 2. MontessoriMaterials-Share: "This group is for those who make Montessori Materials for their home or school and would like to share files back and forth." 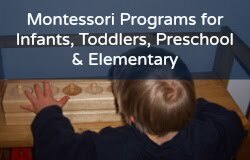 3. montessori_online: "This is a discussion group for parents and educators who are interested in Montessori education, sponsored by the Montessori Foundation." 5. montessorimakers: "A place to help you make Montessori materials." 7. Montessori Swap "This is a buy / sell / swap.. LIST--This is NOT a discussion group." It can be very overwhelming at the elementary stage of Montessori! Especially if you have not done Montessori preschool homeschooling. Sometimes you just have to jump in and learn as you go, which is the case for new Montessori trained teachers. I like the idea of a Montessori for Dummies! I wish I could write it! But at some point, one has to put the books and reading away, shut off the computer, and get started. It is scary! You are not alone! Again, join the Montessori Yahoo groups if you think you need a Montessori support group! Many homeschoolers join them, too! You may also be interested in my recommended Montessori and homeschool books for parents and teachers on Amazon.com or my Montessori and homeschool programs at Montessori for the Earth.